2 plus. Für hartgesottene Fans des Genres. What a crap song. 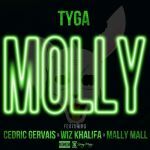 It's basically a song about marijuana and trying to find someone named Molly. Very strange.<br><br>Fun fact: Apparently, "Molly" is said exactly 100 times in this song. A pity these idiots had to go and ruin a good house track. The original is far superior to this garbage.